Hi there! We are Tanya & Bruce, two film makers that are crazy in love. We have known each other for eleven years, been together for six and have been shooting weddings for three. 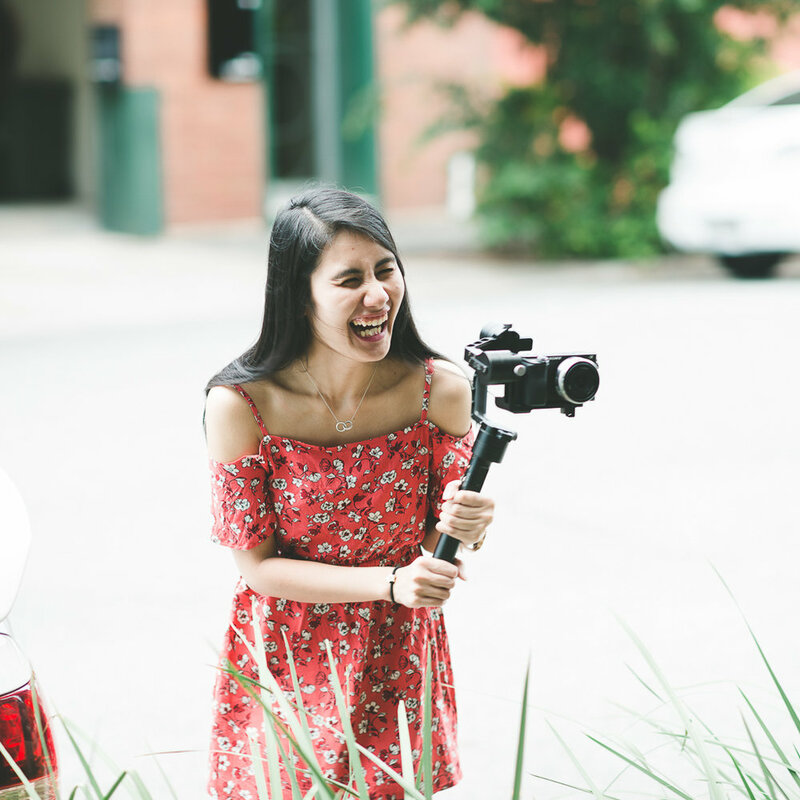 We can not believe how quickly time flies when you do what you love, and capturing weddings all around Brisbane is a job that both of us are grateful for. We get to meet so many couples that are madly in love and hear all of their love stories. We feel incredibly honoured to document every couples' big day and love to create films where everyone gets to relive all the beautiful moments of their journey. Every love story has a beginning. Tanya and I were always just meant to be, even though we didn't know we were in the very beginning. We were in the same class together for five years during high school, but we rarely talked. Then after our high school graduation, we unknowingly thought we would never see each other again, but as fate would have it, our paths crossed sooner than we thought. Like an onscreen drama or any love story, we met again after high school during our first day at University. I was being fashionably late, running through the doors when Tanya recognised a familiar face. And from there, it was all a matter of time before our love started to blossom. We continue on the same path together on our long journey ahead, supporting each other, hand in hand, smile to smile, heart to heart. This just goes to show, no matter how long it takes, Love is a gift worth waiting for. "True love is the greatest adventure." Shout out to Jay Brosnan, the amazing photographer behind these pictures.